Love this! I will admit that I’ve never thought about the different words for what we might consider to be a universal language. Thanks to Marianne for sending this. 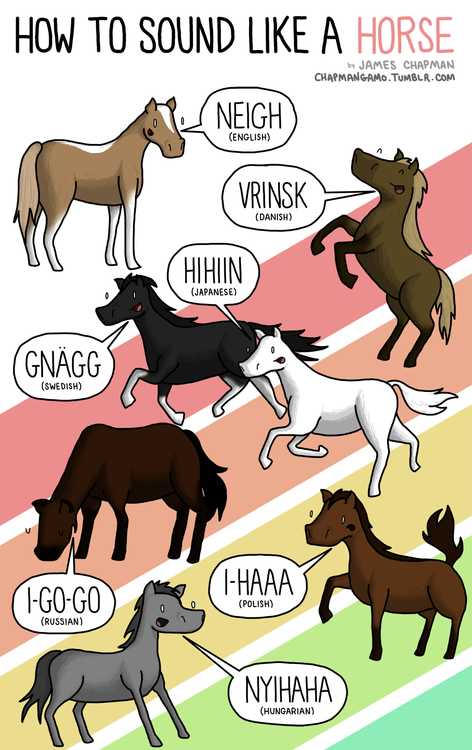 I’ve often wondered about that. . .what does the horse say–in another language. Very cute. Russia is obviously drunk, Poland mistook horses for donkeys … and I have no clue what is wrong with Sweden? Maybe the poor horses get knäckebrot as treats?